The forecast for graduate student Safat Sikder’s upcoming research is promising. 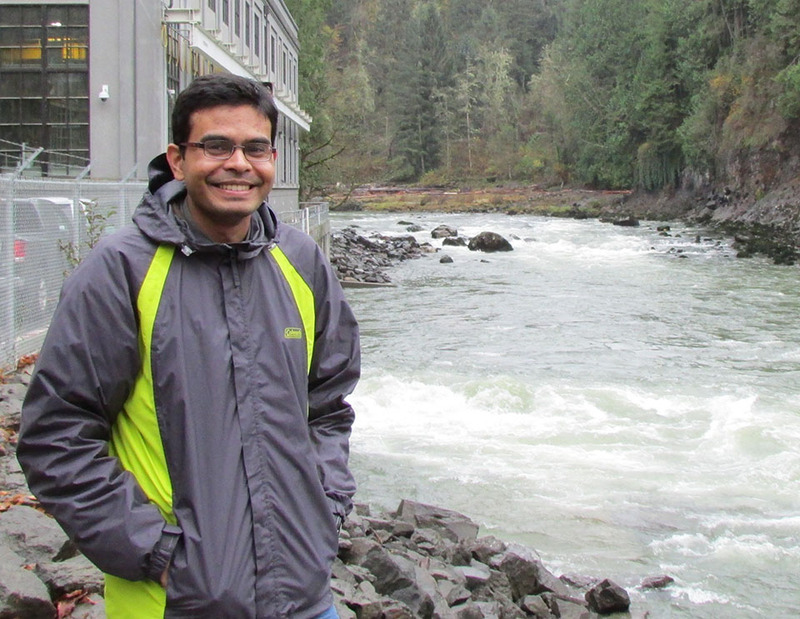 Having recently received a three-year NASA Fellowship, Sikder will be working to develop cost-effective and sustainable flood forecasting tools for monsoon regions in developing countries. Sikder’s research will focus primarily on the monsoon region located in south and southeast Asia, where several heavily populated large river basins are frequently flooded. While the monsoons of southern Asia occur annually, they continue to be hard to predict, causing damage to property and even the loss of lives. “Almost every year, billions of people in this region are affected by flood,” Sikder said. Complicating matters, the countries in the monsoon region are reluctant to share data pertaining to flood forecasting, due to hydro-political issues, or water resource politics, Sikder said. This means that the development of a locally based flood forecasting system is not a feasible option in this part of the world. Sikder’s goal is to develop a sustainable flood forecasting system for developing nations using freely available satellite data and numerical model outputs from the Numerical Weather Prediction Model, hydrologic model and hydrodynamic model to generate flood forecasts for the region. As part of the project, Sikder attended a recent workshop in Nepal followed by a visit to Bangladesh, where he will present information about the Numerical Weather Prediction model to government officials who are involved with flood forecasting. This entry was posted in Uncategorized on September 28, 2016 by ceenews. 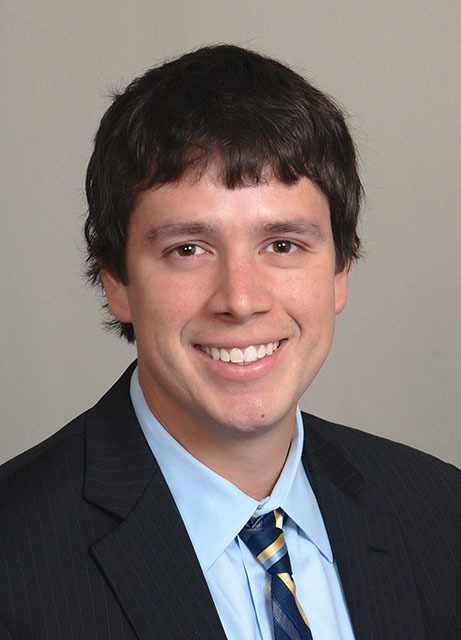 Assistant Professor Michael Gomez, who joins the CEE Department in March 2017, has been honored with a 2016 Telford Premium Journal Prize. The award recognizes authors of the top papers published in ICE journals, which are judged by peers to be of exceptional quality and benefit to the greater civil engineering community. Gomez is recognized for a publication he co-authored with his Ph.D. advisor at the University of California, Davis, Professor Jason DeJong. The publication is also co-authored with collaborators from Geosyntec Consultants. Entitled “Field-Scale Bio-Cementation Tests to Improve Sands,” the paper was published in 2015 in the ICE Ground Improvement Journal. The paper recognizes research that the authors have been developing during the past decade. The paper discusses results from one of the first successful field applications of bio-cementation ground improvement, which solidifies sands through biologically mediated calcite precipitation. In the pilot application, bio-cementation was used to stabilize the surface of loose mine sands in order to improve erosion resistance, slope stability, allow vehicle movement and enable revegetation. When he joins CEE in the spring, Gomez will continue his geotechnical engineering research, investigating the use of chemical and biological processes in soils to develop new sustainable geotechnical technologies. 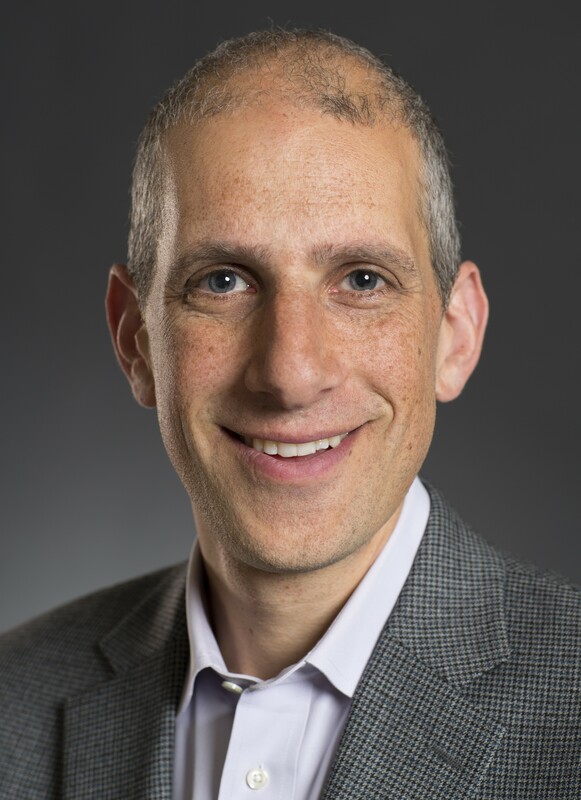 As current soil improvement processes rely upon large amounts of energy and materials, Michael’s research leverages existing natural processes to strengthen soils, which addresses global challenges related to population growth, climate change, and material and energy demands. 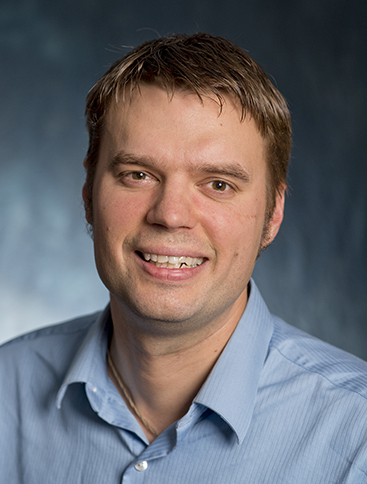 His current research focuses on strengthening weak granular soils using native soil microorganisms through a process called “microbially induced calcite precipitation,” which can reduce treatment costs and environmental impacts. The paper of the year award will be presented to the authors at a ceremony at the Institution of Civil Engineers in London, UK, in October 2016. This entry was posted in Uncategorized on September 26, 2016 by ceenews. Thanks to a three-year NASA Fellowship, graduate student William Currier is preparing for take-off. This fall, Currier will launch new research intended to improve water forecasting by more accurately predicting the amount of water stored as snow in forested areas. Forested areas cover up to 40 percent of the snow zone in North America. Being able to more accurately determine how much water is stored in the snowpack has many applications, from evaluating climate models to forecasting water supply and hydroelectric power. Satellite-based methods alone can suffer from errors of 50 percent or greater, largely due to the emitted microwave signal being masked by the forest canopy and difficulty in determining the snow layer densities. Also complicating the research is the dynamic nature of forests, which are constantly changing due to a number of factors. “Forests are altered through changes in climate, logging, thinning, tree growth, fires and insect infestation, all of which modify the exchange of energy and mass, which must be represented in hydrologic models,” Currier said. 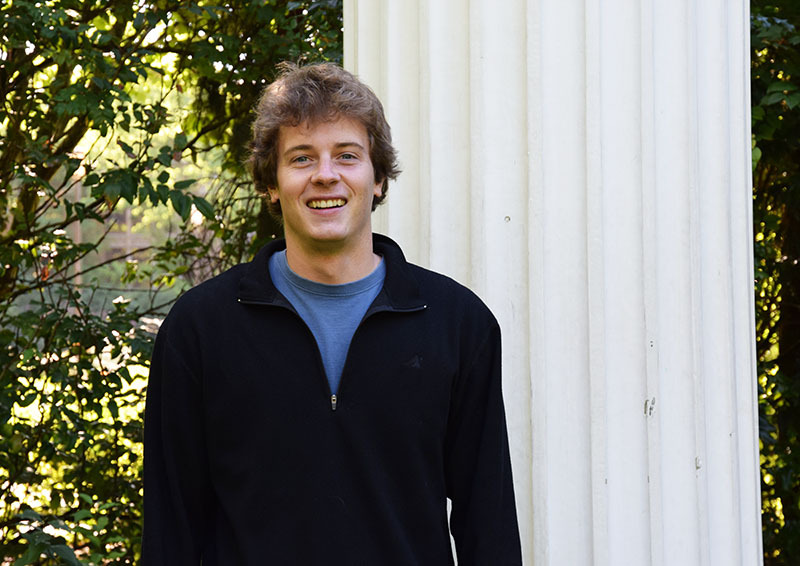 Currier plans to use hydrologic modeling and remote sensing at different spatial and temporal scales to better determine the amount of water stored as snow in forests. To do so, he will utilize observations from NASA’s Landsat and Moderate Resolution Imaging Spectroradiometer satellites as well as NASA’s Airborne Snow Observatory. The new research builds on a project that Currier was involved with the past three summers, called OLYMPEX, also funded by NASA. His role entailed monitoring the seasonal snowpack and determining the amount of frozen precipitation throughout the winter in the Olympic Mountains. To gather data on snow accumulation, 18 snow depth monitoring stations were established in remote areas of the park, up to 25 miles from the trailhead, with time-lapse cameras and snow depth stakes. The data gathered from the project, specifically the time-lapse photography, will be applied to the fellowship research project, to determine how much snow is stored in the forest canopy and how long it takes to melt. This entry was posted in Uncategorized on September 15, 2016 by ceenews. Professor Julian Marshall is mindful about how his choices affect air quality. Given his air pollution research, he can’t help it. Marshall commutes by bicycle, makes sure his house is properly insulated and sets his thermostat to an optimal setting. But he envisions a world where it is easier for people to make choices that lead to cleaner air. “I am hopeful that in future years more choices will be environmentally friendly,” Marshall said. Marshall joined the UW Civil & Environmental Engineering Department in February 2016 as the John R. Kiely Endowed Professor. He comes to UW after nine years at the University of Minnesota, where he founded and directed a Peace Corps Master’s International program in environmental engineering and also co-founded Acara, a social entrepreneurship program offering courses and study abroad programs to help students learn about and devise solutions to global environmental and health problems such as clean water, sanitation and food security. Marshall’s decision to join UW CEE was based in part on the UW’s strong reputation in air quality engineering and the collaborative atmosphere at UW in air quality and public health. 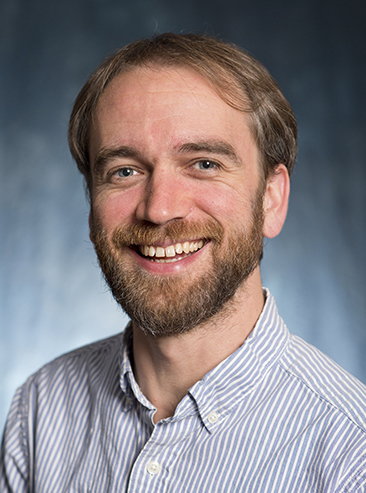 After accepting the position, Marshall shared the news with his graduate students, who decided to join him at UW; his four graduate students and a staff scientist also relocated to Seattle. Marshall is not a newcomer to the Pacific Northwest. He attended elementary school in Bellingham, Wash., before moving to New York, and he spent summers in Sandpoint, Idaho, while growing up. After earning a bachelor’s degree in chemical engineering at Princeton University, Marshall moved to California and worked as an air quality modeler at an environmental consulting firm. Wanting to see the world, he later moved to Singapore, where he taught junior college, followed by a six-month stint volunteering at an environmental development group in India. Submitting applications from rural India, he received a Graduate Research Fellowship from the National Science Foundation and was accepted to the University of California, Berkeley, where he earned an M.S. and Ph.D. in Energy and Resources. Following his Ph.D., Marshall’s first job in academia was at the University of British Columbia, where he worked as a post-doc in epidemiology. There he learned more about health effects of air pollution, especially how reductions in air pollution can improve public health. Marshall is especially interested in how demographic attributes such as race and income affect exposure levels, and the environmental health impacts of shifts in energy technologies, such as converting coal to solar electricity, or gasoline and diesel to biofuels and electric vehicles. Marshall has found that some so-called solutions, such as biofuels, can adversely affect air pollution and health compared to the conventional fuels they may displace. Marshall is also involved in multiple collaborative projects in India to understand the health effects of air pollution there, including the potential impacts on indoor air quality of interventions such as introducing new cook stoves into households. 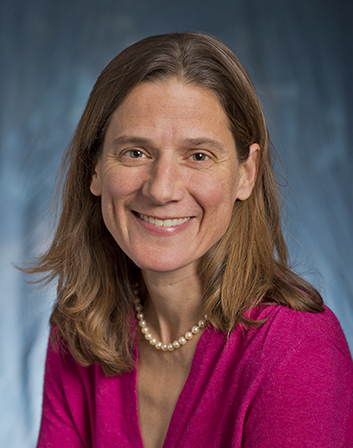 Marshall and colleagues recently received a $10 million grant from the Environmental Protection Agency to investigate air pollution. In collaboration with more than 25 researchers from the University of Minnesota, Carnegie Mellon University and several other universities, Marshall is co-leading a new Air Pollution, Climate, and Energy center. The researchers seek to find “win-win” solutions that address multiple air pollutants and climate change at the same time. They plan to investigate region-specific solutions, reflecting geographic differences across the United States, and solutions that could help address the current disparities in air pollution exposure by race/ethnicity. They will work to develop data and models that are more accessible to non-specialists. Marshall’s wife, whom he met when they were both undergraduates at Princeton, has a Ph.D. in chemical engineering and works as an editor for a chemistry magazine. The couple has three children: seven-year-old twins (one boy and one girl) and a 20-month-old son. In their spare time, Marshall and his wife enjoy biking, hiking, camping, traveling, and spending time with friends and family. This entry was posted in Uncategorized on September 13, 2016 by ceenews. Lectures are free and open to the public. Due to limited seating, registration is required. Learn more. This entry was posted in Uncategorized on September 8, 2016 by ceenews. 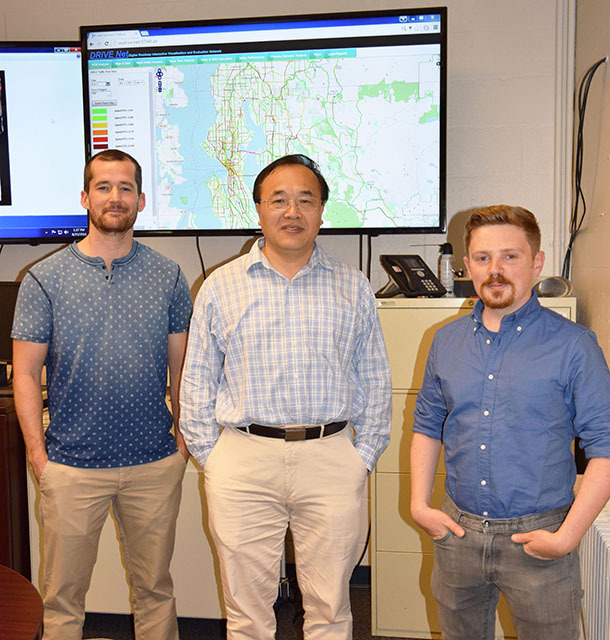 Ph.D. student Kristian Henrickson, Professor Yinhai Wang and alumnus Yegor Malinovskiy (Ph.D. ’13), from left, in the STAR Lab, where they developed newly patented mobile sensing technology that will soon be applied to large-scale transit networks. The future of gathering data from bus riders is, quite literally, headed in a new direction. Thanks to newly patented technology developed by a team of UW CEE researchers, it is now easier and less expensive than ever to learn about bus rider travel patterns, which can be used to improve bus service. Providing better bus service is an ongoing challenge, as it is often difficult and expensive to collect key travel pattern data from passengers. Current data collection methods in practice consist of manual counts and surveys, which are expensive to administer and have low coverage or completion rates. Some transit agencies also gather data from passengers who pay for rides by swiping smart cards, but this only records trip origin information, not destination details. The new data collection technology, which costs about $150 per unit, gathers data about where bus riders board and disembark, how much time passes before they board another bus, and which bus stops are the busiest. The technology was developed by a team of UW CEE researchers including Professor Yinhai Wang, alumnus Yegor Malinovskiy (Ph.D. ’13), Ph.D. student Kristian Henrickson, research assistant Matthew Dunlap and research associate Zhibin Li. The technology consists of a mobile device with a GPS unit that is installed inside a bus. When passengers board the bus, the sensor scans Bluetooth and Wi-Fi signals from their smartphones. The technology works by detecting the unique Media Access Control (MAC) address of mobile devices. In order to protect the privacy of passengers, the original MAC addresses are not disclosed. To filter out nearby signals from people waiting at bus stops, or even pedestrians in close proximity to buses, processing algorithms were developed. The system was first tested in May 2015 on UW hospital bus routes traveling between campus and downtown Seattle. Since then, the software has been improved with new sensor hardware that is lower cost, offers more stable sensing and captures more data. The primary challenge of the system is that not all passengers, especially the elderly or low-income, may have smartphones or other mobile devices with detectable signals. Even so, the sample size is still large enough to get a reliable picture of travel patterns, said Wang. The technology will soon be applied to large-scale transit networks. A number of organizations, both in the United States and abroad, are interested in using the technology to improve bus service, including organizations in the United States, Brazil, China and the Netherlands. Not limited to just buses, the technology also has future applications for gathering data about pedestrians and cars, said Wang. The technology has the potential to replace license plate recognition systems, which cost upwards of $10,000 apiece. The research is funded by PacTrans and the Washington State Department of Transportation. This entry was posted in Uncategorized on September 6, 2016 by ceenews. An inability to draw a straight line helped point Assistant Professor Nirnimesh Kumar in his career direction. During his undergraduate studies, Kumar quickly realized that designing ships was not a natural fit, so he transitioned to studying coastal and environmental engineering. There was no looking back. 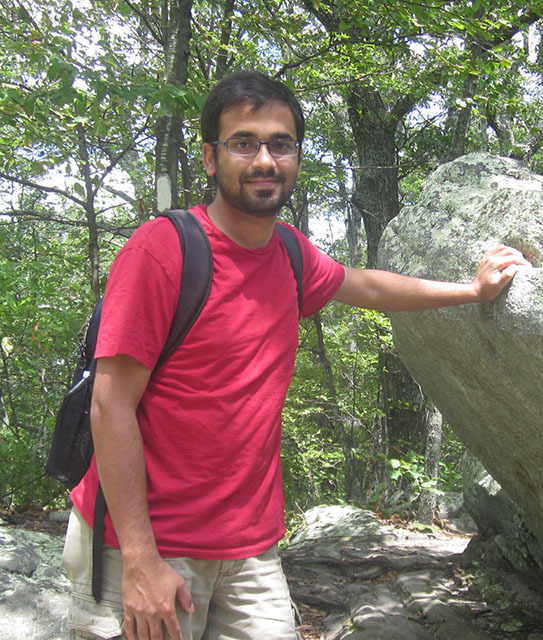 Kumar joins UW CEE in September 2016, coming from the University of California, San Diego, where he was a postdoctoral scholar at the Scripps Institution of Oceanography. Originally from a small town in east India, Kumar earned his bachelor’s degree at the Indian Institute of Technology in West Bengal, India, where he studied ocean engineering and naval architecture. During his second year in the program, while Kumar was learning how to design ships, his interest in coastal and environmental engineering was piqued during the 2004 Indian Ocean Tsunami. Following his undergraduate degree, Kumar relocated to the United States to earn a master’s degree in geological sciences and Ph.D. in marine science, both from the University of South Carolina. Kumar’s decision to join UW was based on several factors. The CEE department is unique, he said, comprised of faculty with broad interests, which allows for a variety of research projects. He was also impressed with the level of collaboration with the Applied Physics Lab and the School of Oceanography. As a coastal physical oceanographer, Kumar studies the region of the ocean extending from the shoreline to a depth of 100 meters. Within this region, he studies how wind, surface waves, tides, buoyance and local water depth influence the circulation pattern. He also analyzes how long it takes for pollutants, contaminants, sediment and larvae to move from shallower to deeper water. To answer these questions, Kumar develops and applies numerical ocean models and uses field measurements. His field research employs acoustic, conductivity and temperature sensors and high-frequency radars to measure water quality. “Coastal and environmental engineering allows me to use mathematical and physical principles to study something that evolves daily, such as how the waves propagate toward a beach, breaking and moving material around,” Kumar said. During a recent NSF-funded project, Kumar oversaw modeling studies focused on injection of a large section of coastal water with non-toxic florescent pink dye. This tracked how pollutants and other contaminants traveled across the United States-Mexico border, with the goal of developing models to dilute pollution and predict water safety. Kumar has been cited more than 150 times for his work in ocean sciences modeling and continues to be a reviewer for publications like Coastal Engineering, Ocean Modeling, and the Journal of Geophysical Research. Kumar and his wife are looking forward to settling in Seattle and enjoying city life. This entry was posted in Uncategorized on September 1, 2016 by ceenews.